Instead of exploring HumanTown through connecting characters/stories. 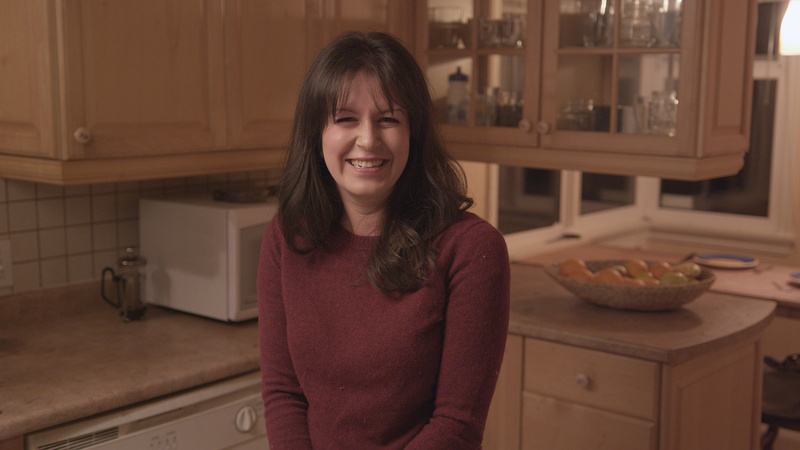 Our ‘Flip' is to explore HumanTown through ads, infomercials and other TV stereotypes. Learn about HumanTown’s business sector through a Melcorp training video, or appreciate the city landfill through a ‘Recyclops' infomercial. Watching an episode is like watching the TV channel of a fictitious bizarre city for half an hour. If you guys don't win, or at least get optioned, get in touch with me. HumanTown / Heir Heads Event! The start of an unholy comedy alliance - 'Human Heads'. Big thanks to everyone who came to the Little Mountain Gallery Nov 8th @ 9pm! 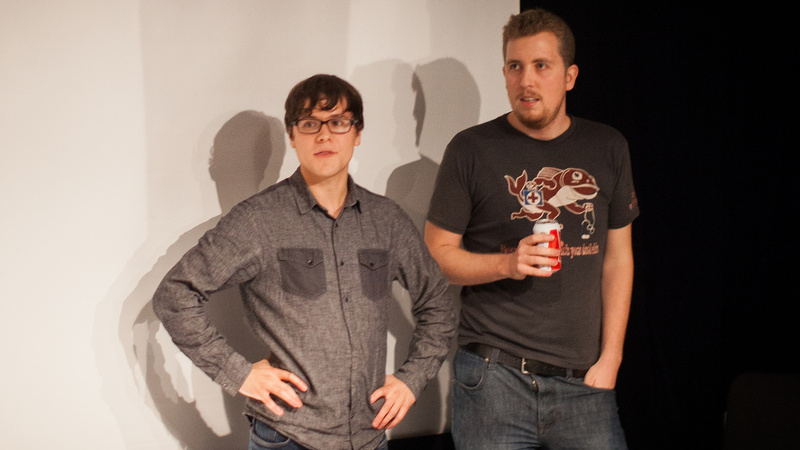 Ki Kwiatkowski of HumanTown (Left) and Dylan Innes of Heir Heads (Right) are both taken aback when asked to show their genitalia by a rowdy audience member. Within moments they came to their senses and graciously obliged. Been enjoying your other vids on YT! Poor Liam, but fun bath time until that thing came out of his ***?!? 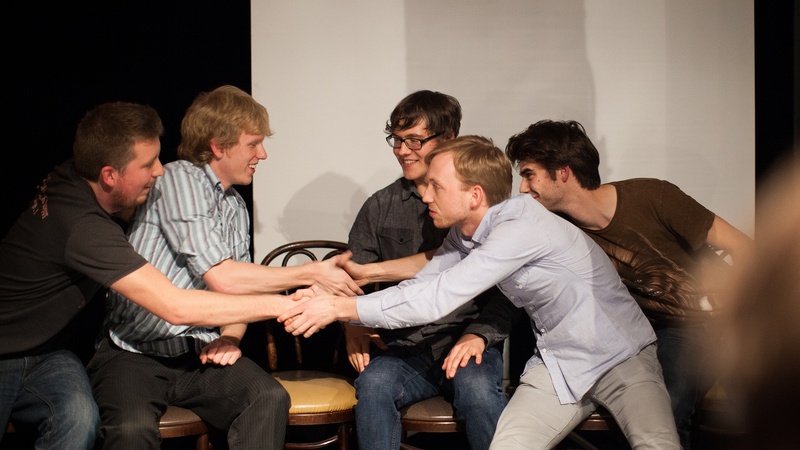 You guys are really pro, very funny - like SNL, python or kids in the hall. Keep it coming, great stuff ! I can't wait to see your Roast! Are you going to eat humans???!! Or, does Orc find his inner she-orc with heart shaped glasses? Or will he start speaking French/Orc???? Called "Forc!" You are in my Top 5 and I am in the top 10 Super Fan running now! Uber me!! lol! Hey guys, just wanted to say good luck with your ROAST, as I'm telling every team though, I will be watching every video that night, i can't wait to see what each team does and that means you guys too, there's so much talent out there and these ROASTs will be something else as i have followed all of these teams for the most part of the competition, can't wait to see what you guys do!! excited to see what is next for you guys.... who will you roast??!! Love your concept and I really am gunning for you guys to win the whole shebang. I think you have the right style and your production value is solid. Really enjoyable stuff. Cheers. Hey Humantown! Congrats on getting into the top 15!! 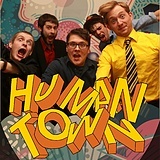 You guys are great and I love the concept behind Humantown. Your flip didn't really seem like a flip, more like a sketch from the show, but it was hilarious anyway! One thing I love about this flip is that when I think "HUMANTOWN" I think the exact opposite of a staid corporate recruitment video. This is pretty much the exact opposite of what anyone should expect from you Humans. Keep up the great work, I love what I've seen so far. I like this kind of video , feels like a publicity. Way too many similarities in the office. it's really ''beige'' everything , the decor, clothing. you guys did a good job for the flip it challenge I like how you made each character a little different but also funny. only complaint is it has too many similarities to the office. This video is hilarious! The most consistently original and consistently funny group in the competition. I loved this, it's just hilarious, and very well done. I had to watch it several times to catch everything, as there's so much in it. So far you're my favourites, good luck ! wow, that was great; "CONGRATS!" Liked your flip! Smart, well shot, written and planned, production effort shows! If I was a producer, I'd be all over this. You had my at the plaid tie!! Hey guys! Congratulations on making the top 15 and best of luck from here on out, it's now out of the our hands as fans over here. I liked this flipit as it showed a different side of you guys, your humour and acting. 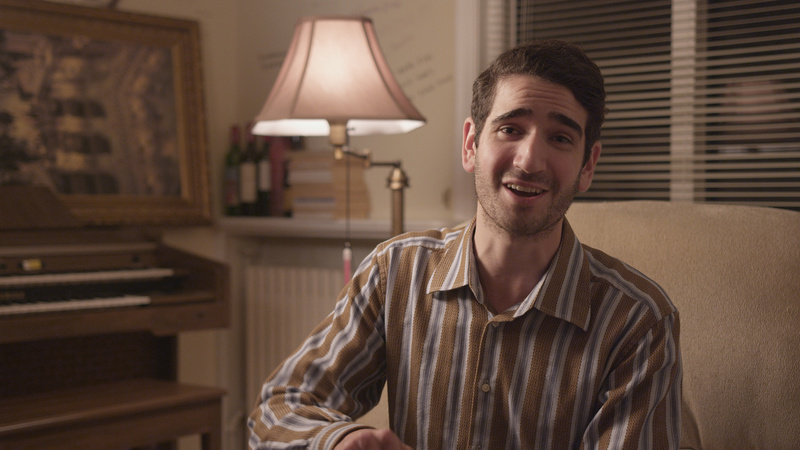 I didn't really see how it was a complete flipit idea as your show is based on the premise of sketch's and skits and it looked as though this could actually fit right into your original idea as a sketch show. The characters were funny and unique though! When I was watching it some of the expressions and statements reminded me of the guys in "40 year old virgin" and just that dorky nerd humour. I enjoyed it! Such a random and and great video. You guys seem to be full of jokes and witty comments. It's great that you continually keep your material fresh. Congrats on the Top 15! This is my first time seeing your project - excellent job on this corporate spoof. Loved the VHS falling multiple times and great characters here. I'll be checking out your other vids! Let's hope you do not have to flip your original idea too much as this Flip-It is much too generic and unoriginal. However, this video is well done. Yo HumanTown you remain one of my favourites in this competition and hope to see you in the Top 5. Congratulations on making it to the Top 15, that's really awesome and well deserved! 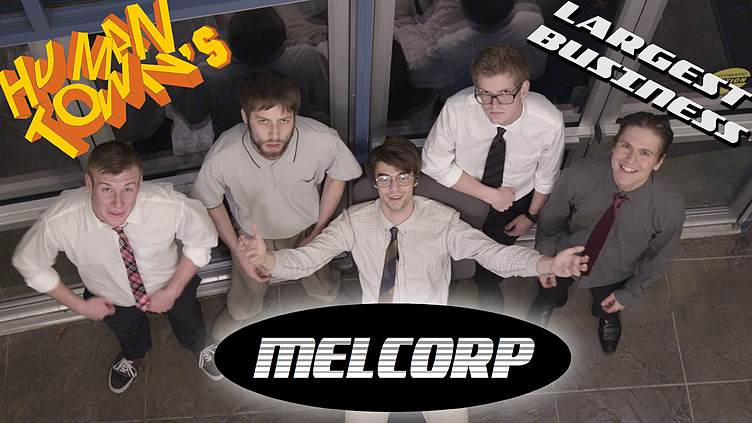 By the way, is there a email address where I can send my resume to Melcorp? Melcorp looks like the perfect place to do a job and to work and to gain employment and stuff. oops I mean top lol. and good job this week it also reminded me of the office and each of your characters had funny little bits. good job. love this one guys! also Congratulations on being in the top 15! this is better than a number of actual corporate vids I've watched over the years (and one starred Leslie Nielson) really good work and really excited to see you Gents make it to the top 5! First video I have watched for Le Flip. I definitely like what HumanTown is all about compared to THIS corporate selling out trash. This good-humoured, well done video of corporate selling out trash mind you. Job done guys. AWESOME video for this weeks challenge! My favorite so far, so I felt compelled to comment. Great idea for the 'Flip' and I found it SUPER funny, although I do still like the original more. I know this group is all dudes, which is cool, but I would like to see more women represented in the show.